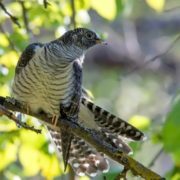 Cuckoos are named for the sounds they make. 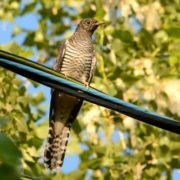 There are more than 125 different types of cuckoos throughout the world. 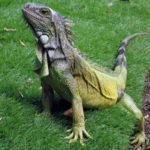 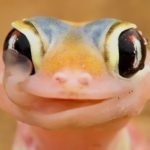 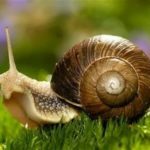 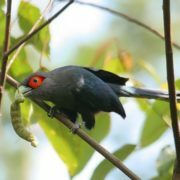 Most of them live in forests, others live in open areas. 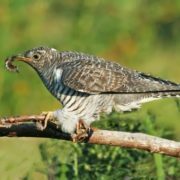 Most cuckoos eat insects, especially caterpillars. 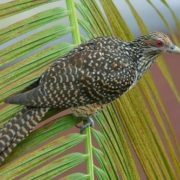 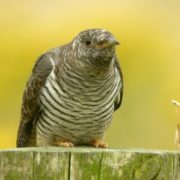 Some of the larger species of cuckoos also feed on lizards, snakes, small mammals, and other birds. 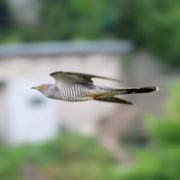 The cuckoos vary greatly in size, with the range of body length being about 16–70 cm. 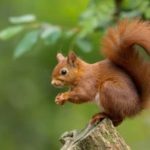 Most of them are gray or brown. 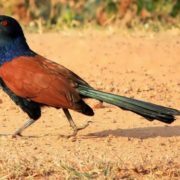 A few types have brightly colored feathers. 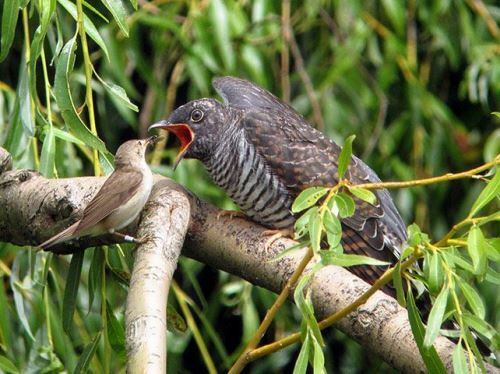 Some kinds of cuckoos do not raise their own young. 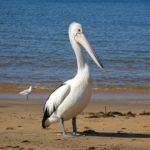 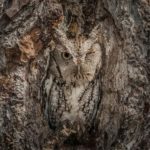 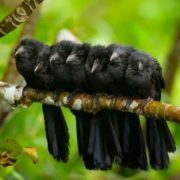 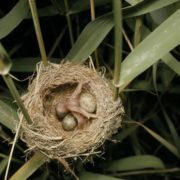 They are nest-parasites and lay eggs in the nests of other kinds of birds that have similar-looking eggs. 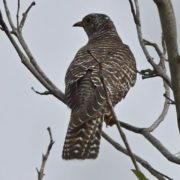 The female cuckoo may also remove any pre-existing eggs of the host species. 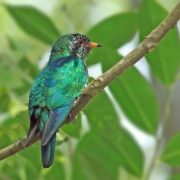 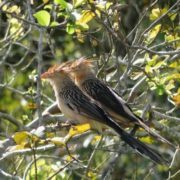 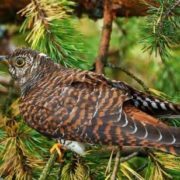 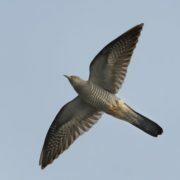 In most cases, the host species is much smaller than the parasite and it is quite difficult to feed the voracious young cuckoo. 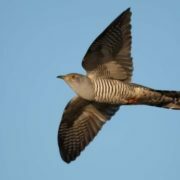 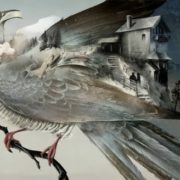 The young cuckoo hatches quite quickly and while still blind, deaf and completely naked ejects the unhatched eggs of the host from the nest. 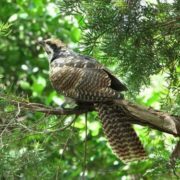 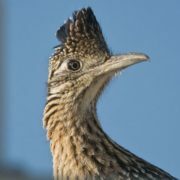 However, a lot of cuckoos, including the roadrunners, take care of their own eggs and young. 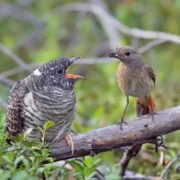 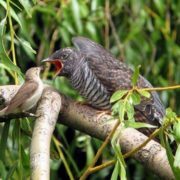 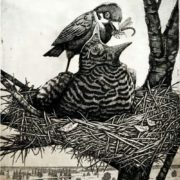 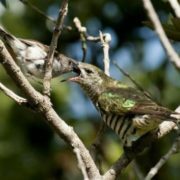 – An adult reed warbler feeds a large cuckoo chick. 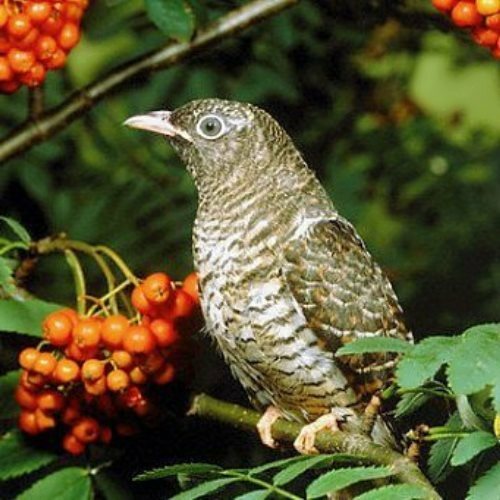 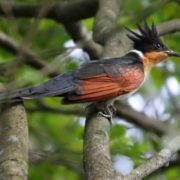 – The shining cuckoo (Chalcites lucidus) of temperate New Zealand migrates across open waters of the Pacific Ocean, to winter in tropical habitats of the Bismarck Archipelago and Solomon Islands off New Guinea. 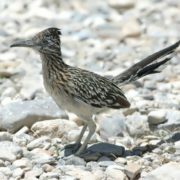 – The greater roadrunner commonly feeds on lizards and snakes, including poisonous rattlesnakes. 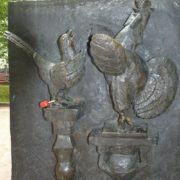 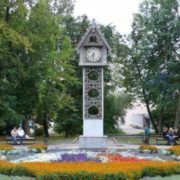 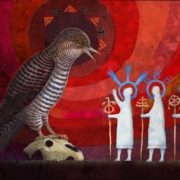 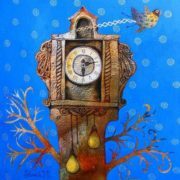 – The cuckoo clock is a symbol of Russia and Germany. 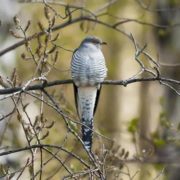 – Eurasian cuckoos are known to have laid single eggs in as many as 20 nests of other species in one season.